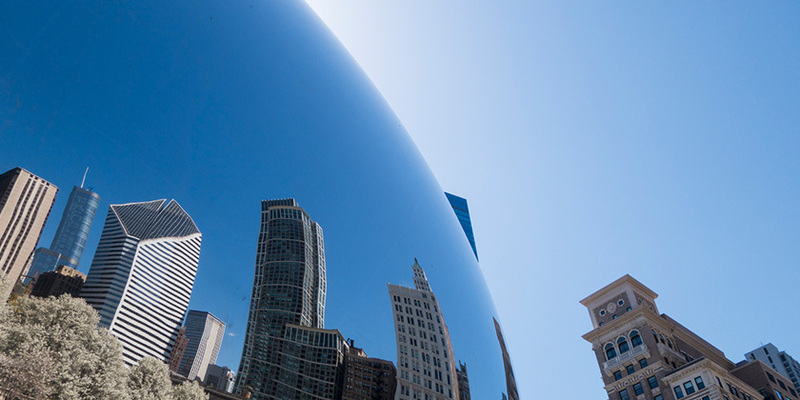 Chicago has no shortage of landmarks, Instagrammable photo ops, and activities to explore. If you’re planning a visit, don’t let all the possibilities of Chi-town overwhelm you – stick to this guide to take on the city like a pro (and find out where to park – which is equally as important, trust us). This city is always great for witnessing some natural wonder (though the winters are cold, consider yourself warned). Start off at Millennium Park for the obligatory Cloud Gate bean picture to signify that your trip has truly begun. While you’re in the Loop, take a stroll on the Chicago Riverwalk, a hub alongside the Chicago River with no shortage of activities ranging from the chill (grabbing a beer or cocktail) to the more ambitious (kayak tours and rentals). On the other side of the river, stop by Navy Pier, featuring fun for the whole family – including the nearly 200-foot-tall Centennial Wheel, Chicago Children’s Museum, and countless shops and vendors. Seeking some iconic views? Chicago has tons to feast your eyes on. No trip is complete without snapping a pic on The Ledge at Skydeck in Willis Tower, giving the illusion that you’re a lot less afraid of heights than you actually are. 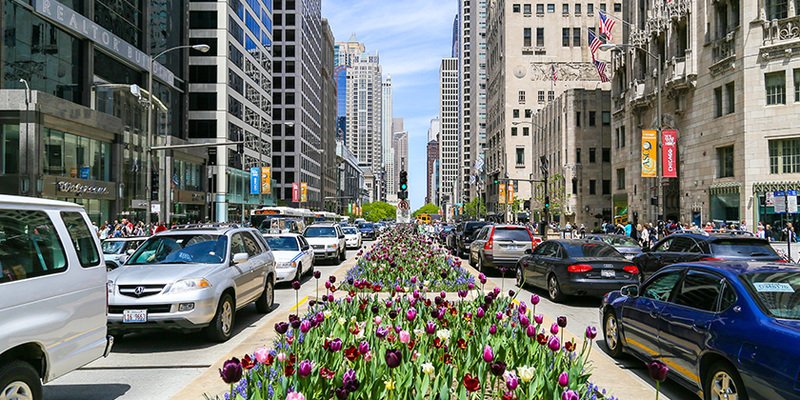 The start of the Magnificent Mile, a center of Chicago attractions sure to satisfy whatever you’re into, is right at the tip of the Chicago Loop at the DuSable Bridge. One of the most iconic views you can see is of the Chicago Skyline. Take the trip out to Lakefront Trail to see and take your pictures of the full view of the Chicago skyline. While you’re there, you can also sit and watch the boats go by in the Chicago Harbour. Once you checkout the skyline, make your way down towards Grant Park to see the Buckingham Fountain. Take a seat on one of the park benches to enjoy the beautifully designed lakefront fountain. The Chicago Loop is also home to the Art Institute of Chicago, The Field Museum, Shedd Aquarium, and plenty more. 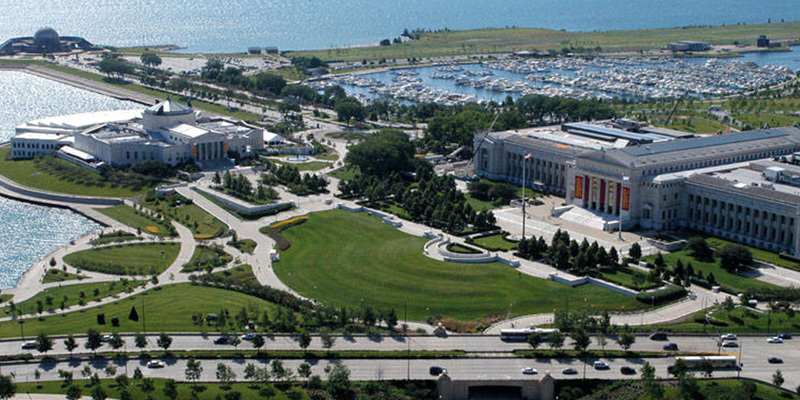 Visit Museum Campus in Chicago that sits alongside Lake Michigan in Grant Park and encompasses some of the city’s most notable attractions. Last, but definitely not least, no trip is complete without some shopping and Chicago certainly doesn’t disappoint. The Chicago Loop features high end shops that put the ‘chic’ in Chicago, everyday stores for the bargain hunter in all of us, and enough deep dish pizza to keep you appropriately fueled through it all. Once you explore all that there is in the Chicago Loop, take in the great outdoors when you catch a game at Wrigley Field or Soldier Field. Sports not your thing? Lincoln Park is also home to one of the few remaining free zoos in the country at the Lincoln Park Zoo and a year-long tropical experience at its Lincoln Park Conservatory. Follow the above and you’ll be sure to have a travel itinerary that checks off all your boxes! Let the experts at Parking.com help you find parking in the Chicago Loop, leaving the rest up to you to enjoy!